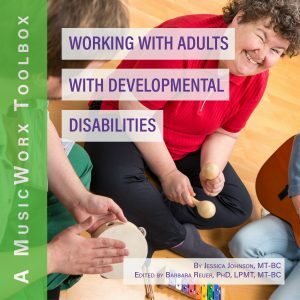 The MusicWorx Toolbox course Medical Settings Strategies, Applications, and Sample Forms for Music Therapists, Second Edition focuses on strategies for using music therapeutically in a variety of medical settings, including inpatient and outpatient facilities. From cover to cover, this Toolbox offers a wealth of field-tested ideas and sample forms to be adapted to any setting. By design, music therapists develop and use music tools to address needs of patients at the bedside. Downloadable files enable music therapists to customize existing forms or develop specialized forms at the click of a mouse. Energizing Exercise 1: When You’re Smilin’! References to items on the Board Certification Domains are based on the Practice Analysis Study of 2014. 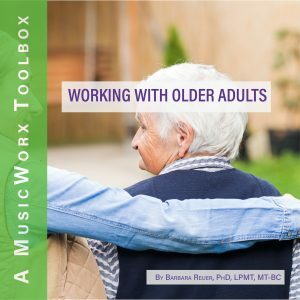 Those registered for the MusicWorx Toolbox course Medical Settings Strategies, Applications, and Sample Forms for Therapists, Second Edition will develop or improve their abilities to use music therapeutically in a variety of medical settings, including inpatient facilities, outpatient facilities, and at the bedside. Participants will learn about implementation and structure of initial and ongoing treatment strategies, as well as ongoing documentation and evaluation of therapy techniques. Create two relaxation scripts (one for adults, one for children) for music-centered relaxation execises. Describe three ways music may be used for pain, anxiety, and / or nausea management. I. C. 3, 4. II. A. 1, 2b, e, g, h, l, m, n, o, v, s, aa; 3d. Articulate (verbally or written) the medical reasoning behind using music therapy with patients. Assess at least one music therapy strategy to offer a patient suffering from extreme nausea. Just a quick note to tell you how much I am enjoying your Medical Settings Toolbox. I just finished adapting three of the handouts for a consult I'm doing tomorrow with a woman in the Alternative Medicine Clinic.